Inhabitat thinks my six-pack pendant lights are “ethereal”. WOO HOO! Each one has been a labor of love. The lights are only working prototypes hanging around my apartment at the moment. I’m busy carefully perfecting them, so they can brighten other people’s homes. 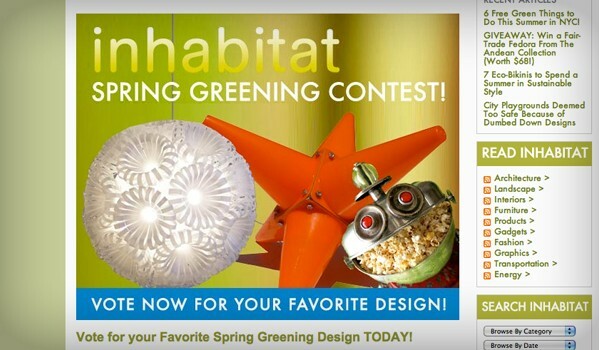 If you like my pendant lights, please visit the Inhabitat site, and cast a vote for me!